Mountain Trail makes its debut at the 2017 Washington State Horse Expo March 3-5 2017. There will be four challenges on an in-door Mountain Trail course designed by “Mark Bolender”. 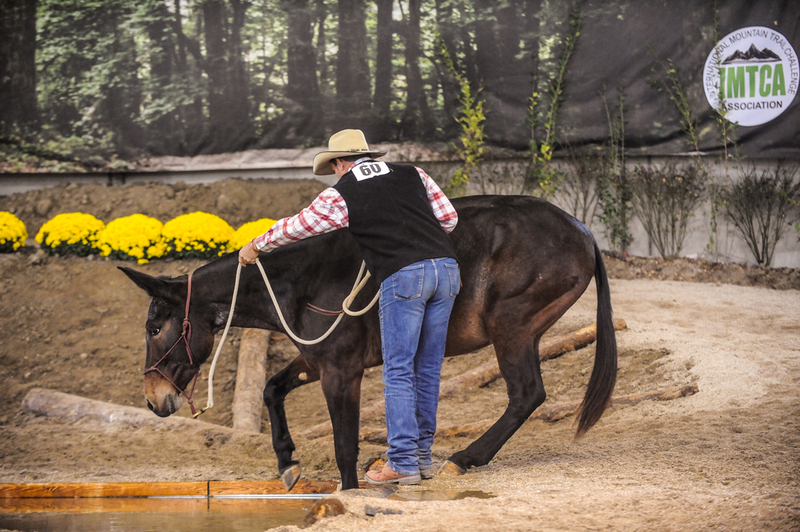 In-Hand – This is done with a halter and lead rope while navigating obstacles in a pattern. Level 1 Riding – This is done under saddle, walking only while navigating obstacles in a pattern. Level 2 Riding – This is done under saddle, walk, pick up a trot, jog or gait up to and transition down to a walk over the obstacle. 180 degree turns, 360 degree turns, all of this while navigating obstacles in a pattern. Level 3 Riding – This is done under Saddle, walk, trot, jog, gait, lope and canter up to and transition down to a walk over the obstacle. 180 degree turns, 360 degree turns all of this while navigating obstacles in a pattern. There will be clinics for those that want to compete in the challenges.